They make things happen from business, politics, fashion and the nightlife in the capital city. They are the personalities who have the potential of making Abuja colourful this New Year. There are also indications that they will in many ways, affect the character of the Federal Capital Territory (FCT) as 2011 slowly unfolds. Following President Goodluck Jonathan's victory at the presidential primaries of the Peoples Democratic Party (PDP), some of his critics have begun to look at him from a different perspective. They now see the president as the man in-charge especially following his defeat of former Vice President Atiku Abubakar, a politician with enormous financial war chest and vast experience in party politics. Seated right by the president's side during the long night of the PDP primaries was his wife, Dame Patience. Ever since she took over from Hajia Turai Yar'Adua as First Lady, Dame Patience has made the office powerful in her own way. To some of the critics she may be far from the late Maryam Babangida in glamour but her Women For Change Initiative (W4CI), is growing at the same rate other successful Non-Governmental Organisations (NGOs) such as Better Life for Rural Women and the Family Support Programme did. Though some believe that W4CI is more political in nature than it is service orientated, the NGO also has programmes designed to help indigent women. The fact that W4CI also has state chapters in PDP controlled states being managed by wives of governors has brought it close to the grassroots. The First Lady is hailed everywhere she turns with active members of W4CI serving as escorts at her many social events. Many have argued that Amina Titi Abubakar would have made an iconic First Lady and enjoyed her famous predecessor's popularity but with her husband's loss and victory of the incumbent, Nigerians especially those in the capital city will be seeing much of the Jonathans this year and the next four years if PDP emerges victorious at the polls. Despite his recent loss at the PDP primaries where he took a distant second position to President Jonathan in the battle for the party's presidential ticket, Adamawa-born politician Atiku Abubakar remains one of the most talked about personalities in the country. Some love him fiercely others wave him off as a career politician with too much money to spend on too many political contests. In fact, he has travelled out to take a deserved rest just as reports have it that Jonathan is willing to consult with him and other aspirants of the party. Without doubt Atiku as he is popularly known will remain a force to be reckoned with in the country's politics especially in an election year such as 2011. In the last decade this son of a cleric father and grassroots politician mother, has remained in the top echelon of FCT politics. For two terms he represented the AMAC/Bwari Federal Constituency in the lower legislature. Now he holds in his hands the PDP ticket for the senatorial poll scheduled for April this year. Those who accuse Aduda of forgetting voters once he wins elections have greatly reduced titanic battle he fought to return through the courts in 2007. One thing that has helped the young politician aside his privileged background is his ability to freely mix among his people and all other interest groups in the FCT. In other words, Aduda is a man about town who can survive in just about any situation and this has made him a major factor in the capital city. His many controversies have made him a well-known personality to political pundits. But long before he was elected into the House of Representatives, Dino was a ubiquitous activist in Abuja. He was known in a number of circles as the man who could with a snap of fingers organise youths in their thousands and this never stopped him from going on a number of one-man protests alone. What amazed many then was that this comrade was a wealthy one, driving off protest ground in sleek cars with personalised number plates. During the controversial PDP primaries in Kogi State where he hails from, Dino had lost by three votes. He is presented with a second chance to return to the green chambers, which elevated him from an Abuja celebrity to a nationally known face if he wins the race on the ticket of the All Nigeria Peoples Party (ANPP), where he is said to have defected to. Many are watching closely if he will make it back into the house especially as his political adversary, the Speaker, Dimeji Bankole, has picked the return ticket for his party. Hajia Aisha Al-hassan never ceases to amaze observers. She is well on her way to another first, that is, the first female Senator from Taraba State having won the PDP ticket. Before this she was the first female commissioner of Justice and Attorney General in her state and was also the first woman to be appointed as the Chief Register of the FCT High Court. Her love for business has seen Al-Hassan creating EAT.COM one of the biggest eateries in the capital city as well as the eye popping A-Class events centre. She will definitely be high on the Abuja horizon this year. She had to exit the Senate on account of a Court ruling. Described as the 'Joy of the Senate' while in the upper lawmaking house, she was indeed influential both within and outside the red chambers. In fact, high profile parties in Abuja were incomplete without Emordi. When she hosted events A-list guests often thronged the venue. Just as many would love to see her return to lawmaking, the race will be a tough one. Her son's wedding held in January showed that Professor Dora Akunyili still got it. With her former colleagues attending and the president sending a representative, there were clear indications that the former anti-fake drug czar still had her clout intact. The immediate past Minister of Information and Communications has received varying comments for defecting from the PDP to the All Peoples Grand Alliance (APGA) to contest what many agree will be one of the truly keen contests in the 2011 elections. The University of Nigeria Pharmacy teacher is one respected fighter that has survived many tough battles against drug counterfeiters and the 'cabal' during the late President Umar Yar'Adua's administration. But will she survive the shark infested political waters? This is the question on thousands of lips as the elections draws near. Many saw the directive from the PDP that the Adamawa senatorial primaries be re-run as one that would benefit Grace Bent. The colourful lawmaker is seeking a second term in the senate. During her first term she was one of the influential senators, just as she was adored by her socialite friends whom she made their events glitter with her presence. Many of these female socialites are watching the happenings in Adamawa closely with the hope that their friend makes a rebound. Also lots of people are looking out for Riki the lawmaker's daughter who gave up her music career for school now that she has completed her degree in Mass Communications from ABTI , Yola. Will she keep to her promise to record new music after graduation? Vivacious politician, businesswoman and philanthropist, Yeye Bola Dare, ended 2010 with lavish birthday party and she started the New Year with the First Lady visiting her Mother Theresa orphanage. She made a pledge to commence plans to build a village for orphans before she clocks 45. Many will be looking on Dare to fulfill her pledge this year. Though she spent only one term in the upper legislature, she was one of those who made the red chambers glitter. And with her clinching one of the PDP tickets for the senatorial elections in Edo State, her friends will be looking out to seeing if she will make a comeback to the national assembly in state controlled by a strong Action Congress of Nigeria (ACN) governor, Adams Oshiomohle. Long before he was appointed the Director General of the National Tourism Development Corporation (NTDC), Otunba Segun Runsewe was a household name in the capital city. His flamboyant carriage and his oratory aside from his towering height, made him hard to miss. His place on the corridors of power was further cemented when President Jonathan approved his second tenure as NTDC DG. Never lacking in bright ideas, which he brings to life with ease, Runsewe will definitely make heads turn this year as he had done in times past. Industry red necks are watching on ideas he has up his sleeves. Cool, calm and collected are the words, which best describe the front man for the powerful group behind Cubana lounge. There is no rival for the Wuse II hangout run by Obinna Iyegbu. Some have attributed the runaway success of the Cubana to the wizardry of Obinna who understands the night clubbing business. He is one of the guys who set up Ibiza, another popular joint, which he is planning to expand the size and operations. Indeed revelers are interested in seeing how Ibiza and Cubana fair this year. He is proud to say that he is the only rapper with an MSc. Naeto C christened Naetochukwu Chikwe by his parents, the mother being Ambassador Kema Chikwe, has kept music fans waiting for his sophomore album, which many believe will be released this year. Ever since he participated in the reality talent hunt, Project Fame, Dare Art Alade has remained famous especially among music lovers. His debut Me 2 U, the follow up; Undarated were both a hit with fans. The artiste who lives with his family in Abuja started the year on a high note, performing at the PDP presidential primaries. His performance was given an A grade by those who watched him with music lovers, predicting that his third album will be a hit. When they opened Selera Faces years back, many did not give them a chance. But the duo of sisters Arafat Ukonga and Seluwa have taken their luxurious beauty parlour to the next level. Not only have they created a cosmetic range from their brand, they also host the acclaimed Face of Selera beauty contest annually. There is much to look forward to this year from the sultry sisters. The celebrity couple behind the NANET group has grown their brand over the years making them leaders in the hospitality industry. The New Year presents an opportunity for them to further increase the number of hotels under their management. They are Osita, Obinna and Ikenna. Osita is the Corp Marshal of the Federal Road Safety Commission (FRSC). Obinna is set to again represent the Idemili North Federal Constituency having picked the PDP ticket. Then, there is Ikenna the guy behind Berrylux paints and lookatafrica.com. Despite being in their 30s these brothers are trailblazers. Not a few people will be monitoring the progress of the Chidokas in the New Year as they are never lacking on ideas. When Ronke Bello presented her second book 'Standing Tall' to the public at the Transcorp Hilton Hotel, Abuja, back home in Kogi, politicians lost their composure. They began to speculate if the lady who has a number of degrees from Ivy League schools including the prestigious Harvard University would be running for public office. This was because of the number of governors, ministers and other power brokers who attended the book launch. Though Bello kept to her word by not contesting, many are speculating that she may be appointed for a high profile job this year. She started out a banker, went into fashion retailing; moved from that industry to Nollywood as scriptwriter and now a top actress. The Abuja based actress, having made a mark in Nollywood within a short time, has a bright future ahead starting from 2011. Those who love the actress will be looking forward to her taking up daring roles this year. Gbemi Saraki's pretty face hides the shrewd politician she really is. What makes Gbemi the preferred candidate of her father, Dr Olusola Saraki, for the Kwara governorship is her closeness to her constituency. Her foreign accent is the only thing that differentiates the lawmaker from the average Ilorin woman. It may be surprising but Gbemi's candidature has the backing of thousands of Kwara women and her father's supporters making her the candidate to beat. But the battle for who takes over the Kwara State government house will be a tough one judging by the opposition coming from the governor and other political parties in the North Central state. If Gbemi emerges winner, she will be the first woman to be elected governor in the country. The stakes are high and the Kwara gubernatorial elections will certainly be a thriller with thousand watching to see the end of the political drama. He is the chairman of the Dome Entertainment. Though he has his hands in other big pies, he is better known as the man behind entertainment outfit. Obiora Okonkwo who holds a PhD in Economics, regularly invests in profitable businesses and this year presents another opportunity to widen the scope of his business while remaining on top of the Abuja nightlife. All eyes are on Dennis Sami for the simple reason that his paper the Nigerian Pilot has hit the newsstand. People will be looking to see if he makes true his pledge to make the newspaper one of the best in the country. Ifeoma Anyanwu, Ogwa Igweze, Fati Garba are three of the big names in the Abuja fashion scene. Already Igweze, daughter of former PDP national chairman Audu Ogbeh staged a show that got fashionistas talking. Garba completed 2010 in style just as Ogodor created waves with her show hosted by City People magazine. For fashion loving celebrities the above mentioned designers would make 2011 a year to look forward to. 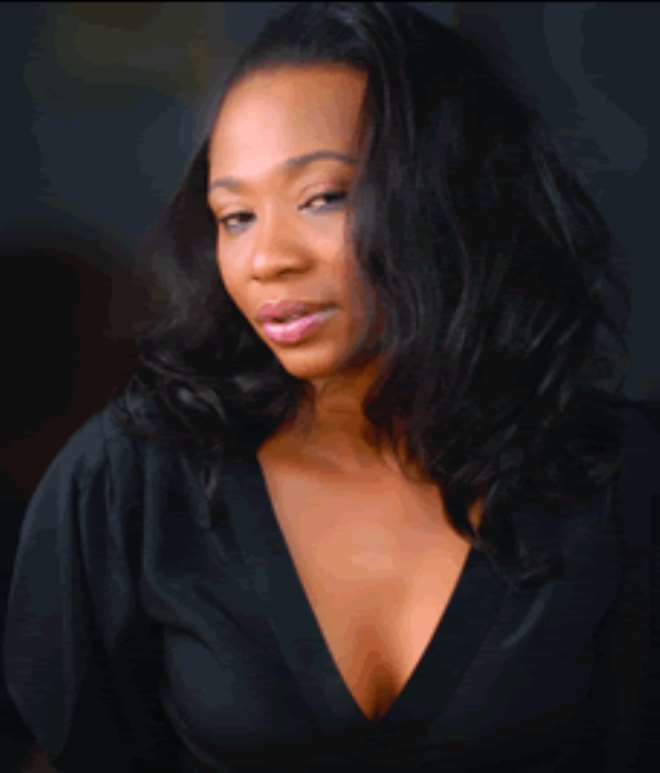 Calabar princess and multi-millionaire businesswoman, Fifi Ejindu moved to Abuja from Lagos to be far from the maddening crowd, at least so it appeared. She came along with million naira businesses. This New Year will have people watching to see Ejindu's next move.